The link between cancer and nutrition is becoming increasingly irrefutable as more and more research studies link a bad diet with virtually every type of cancer. If people made simple dietary changes, scientists estimate that there would be at least a 60-70 percent decrease in breast, colon, and prostate cancers, as well as a 40-50 percent decrease in lung cancer. Click here for purchasing our Flax Hulls. An ancient crop, flaxseed is one of the most useful and beneficial “superfoods” on this earth. It’s also plentiful and affordable, which means that making it a part of your healthy routine is easy! A small brown or golden seed that comes from a crop grown in cooler climates, flax, also known as linseed, is both a food and textile crop. Linen (both clothing and table linen) is actually made from flax, and linseed oil (which can be eaten as well) is often used in things like linoleum and as a wood finisher. Evidence of the cultivation of flax by humans dates all the way back to the Upper Paleolithic era, around 30,000 years ago. Around 5,000 years ago, flax crops began to appear in Switzerland, Germany, China and India. One of the biggest benefits to eating flax is the amount of lignans available per serving. Lignans are “fiber-related polyphenols” (antioxidants) that can actually help balance hormones, and may help fight against hormone-related cancers such as breast cancer, ovarian cancer and prostate cancer. The American Institute for Cancer Research officially claims that “flaxseed may contribute to lower cancer risk, but research is too limited to recommend it for cancer protection.” In other words, there haven’t been enough scientific studies to prove that flaxseed can protect us against cancer, there is certainly enough evidence to show that it’s helpful. 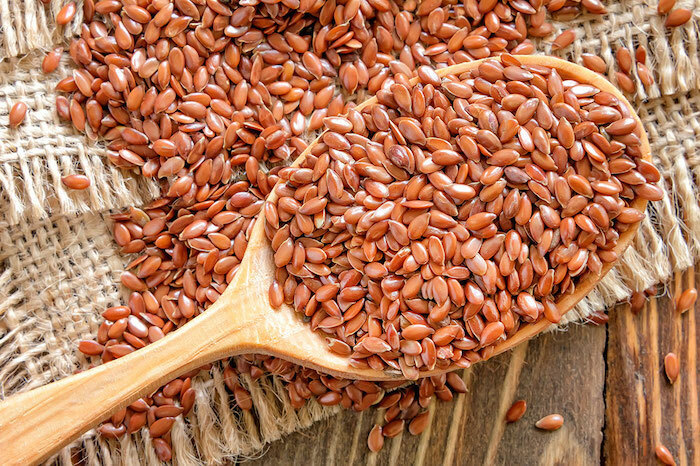 Because of its high soluble and insoluble fiber content, as well as its ALA fat content (otherwise known as Omega-3 fatty acids), flaxseed not only fights inflammation, but will keep you satisfied for much longer than simple carbs or saturated fats found in pre-packaged foods. Most Americans don’t get enough fiber, and if you’re one of them, you’ll be amazed at how your cravings and hunger fades when you get the recommended daily dose. 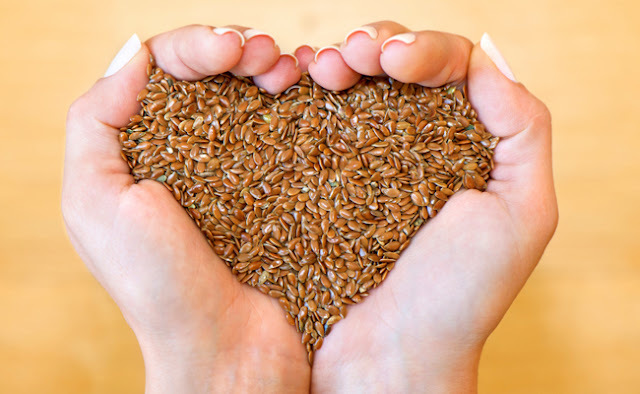 A 2010 study done by Iowa State University found that men who consumed 150 milligrams of flaxseed per day “decreased cholesterol by just under 10 percent” over the course of three months (oddly enough, it didn’t work on women). Another study, done in 2012, took 110 people with high blood pressure, and gave half “30 grams of milled flaxseed,” and half a placebo, daily diet for six months. After those six months, patients on the flaxseed showed a “measurable decrease” in their blood pressure. Flaxseeds are full of Omega-3 fatty acids, essential fats that our bodies can’t make on their own. Important for hormone production as well as genetic function, Omega-3s are also great at helping to reduce heart disease and stroke, and inflammation. 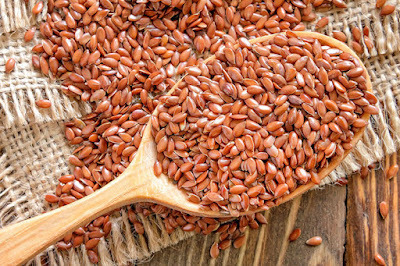 Most people take fish oil for Omega-3s, but if you’re following a vegan or plant-based diet (or just don’t enjoy the taste of fish oil), flaxseed is a great alternative. Fortified Flax Hulls are essentially flax hulls (lignans) as described above fortified with 3-day old broccoli sprouts. Broccoli sprouts have been studied by Prof. Dr. Paul Talalay of John Hopkins University (MD, USA) and found to contain high levels of glucoraphanin. Glucoraphanin when chewed releases a powerful antioxidant called Sulforaphane. Prof. Dr. Paul Talalay studied and found that Sulforaphane are highly effective in the treatment of cancers in rats. Other studies have found that 3-day broccoli sprouts contain the highest level of Glucoraphanin and the reason that they are chosen to fortify the flax hulls. These 3-day old broccoli sprouts are grown organically from specially chosen organic seeds. After harvesting, the sprouts are "freeze-dried" to preserve its properties. Purchase our Flax Hull Lignin's Here. 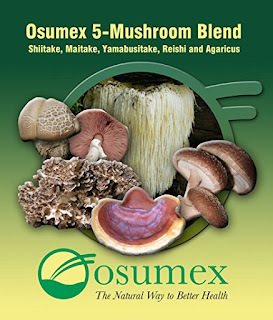 Here at Osumex we offer a product named 5-mushroom blend which is produced in Japan from raw unprocessed mushrooms. Mushrooms contain some of the most potent natural medicines. They are excellent sources of antioxidants as they contain polyphenols and selenium, which are common in the plant world. They also contain antioxidants that are unique to mushrooms, one of such antioxidant is ergothioenine, which scientists are now beginning to recognized as a master antioxidant. How can 5-Mushroom Blend help a diabetic condition? 5-Mushroom blend are an ideal low-energy diet for diabetics. They have no fats, no cholesterol, very low levels of carbohydrates, high protein content, and a wealth of vitamins and minerals. They also contain a lot of water and fiber. Moreover, they contain natural insulin and enzymes which help the breaking down of sugar or starch in food. They are also known to contain certain compounds which help proper functioning of the liver, pancreas and other endocrine glands, thereby promoting the formation of insulin and its proper regulation throughout the body. Diabetics often suffer from infections, particularly in their limbs, which tend to continue for long periods of time. The natural antibiotics in mushrooms can help protect diabetics from these painful and potentially life-threatening conditions. Our 5-mushroom blend is an amazing combination of all the mushrooms listed above. Which can be used to improve several conditions include diabetes. You can purchase our 5-mushroom blend here. LB17/Fermented Food helps with digestion, immune, blood circulation and skin healing especially sores. The above ingredients are allowed to ferment naturally for a period of 3 years. 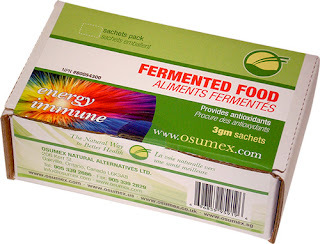 Due to the way that the fermented food is exposed to extremes in temperature (summer and winter) during the fermentation process, any good bacteria present is potent, resilient and able to stay alive for up to 3 years at room temperature without the need for refrigeration. Any bacteria is live and viable and does not need to be revived, better than most other probiotics particularly those that are"freeze dried"! Prior to encapsulation with a vegetable gel cap, Perilla oil (high in Omega 3 EFA) is added to provide Omega EFA (essential fatty acids). Fermented Food does not contain any preservatives, additives, colouring, or artificial flavouring. Fermented Food is suitable for vegans as well as the "raw foods practitioner". It is very useful to the lactose intolerant and milk protein (caesin) sensitive individuals. The bacteria that may be present helps to break down all nutrients consumed into smaller molecules so that they can be better absorbed by the body. The concentrate in each vegetable softgel capsule of Fermented Food may contain bacteria, digestive enzymes, amino acids, vitamins and minerals. 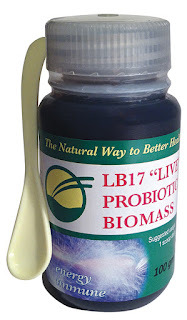 There are many benefits to incorporating fermented food/LB17 into the way you supplementation. In the recent months, more and more attention has been given to the importance of the micro-biome: that is, the colonies of trillions of bacteria we carry around in our guts that control myriad processes within the body. 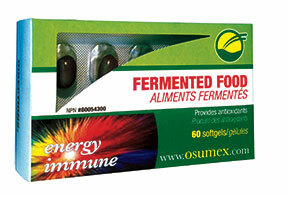 Fermented foods introduce additional beneficial flora to the body, which helps bolster our existing colonies. In particular, eating a variety of fermented foods improves the variety of flora living in your gut, which further bolsters gut health. Also, because fermented foods are powerful chelators, which means they draw toxins out of the system, they help detoxify and remove waste more efficiently. A healthy microbiome, supported in part by fermented foods, has been shown to improve not only mood, immunity and metabolism, but digestion, too. The bacteria present in fermented foods provide helpful enzymes – which support digestion – in addition to doing a little of the work for us. Foods that have been cultured arrive to us slightly broken down: less work for the GI tract means easier digestion. Considering so many people report having digestive issues, foods that help support better digestion – no pills, no surgery, no complicated elimination procedure – could be a pretty delicious revelation. If you struggle with slow digestion, whether from a diet high in raw foods, low energy, medication or just a stubbornly slow GI tract, fermented foods might be a simple addition that could make a big difference. Three recent studies highlight the importance of maintaining a healthy gut to avoid disease and optimize your health. The first, published in the journal Cell, shows that "host-specific microbiota appears to be critical for a healthy immune system. The study, featured in Genome Research, looked at a common set of viruses linked to gut bacteria in humans. These viruses, which feed off bacteria, are called phages, and they pose a constant threat to the health of the bacterial community living in your gut. Most people know that fermented foods can help to support healthy digestion, but few people realize that they can also boost immunity, reduce IBS symptoms, and even support circulation and healthy blood pressure. Fermented foods improve pancreatic function; the lactic acid-fermented foods are already broken down or pre-digested, so it is easy on the pancreas. Traditional fermented foods will help lower glucose levels by slowing down the speed with which the stomach empties. In one study, the glycemic index of sourdough bread, which is fermented grain bread, turned out to be 68 on the glycemic index, while non-sourdough bread is 100 – on the glycemic index table. More recently, German scientists were working with a strain of lactic acid bacteria found in sourdough bread, and found it to be more effective in killing microbes, which were resistant to most antibiotics. Early civilizations knew that to preserve food – fermentation was a necessity. Today, we know that the concept of using naturally occurring good bacteria will help eliminate harmful types. This is why we find a diet that includes fermented foods helps eliminate candida; lowers the risk of certain cancers, and supports overall health. Intestinal permeability (a.k.a. “leaky gut”) causes both systemic and local inflammation, which in turn contributes to skin disease. In a study way back in 1916, acne patients were more likely to show enhanced reactivity to bacterial strains isolated from stool. 66 percent of the 57 patients with acne in the study showed positive reactivity to stool-isolated bacteria compared to none of the control patients without active skin disease. In a more recent study involving 80 patients, those with acne had higher levels of and reactivity to lipopolysaccharide (LPS) endotoxins in the blood. None of the matched healthy controls reacted to the e. coli LPS, while 65% of the acne patients had a positive reaction. Both of these studies suggest that increased intestinal permeability is an issue for a significant number of acne patients. Speaking of permeable barriers: most of you have heard of leaky gut by now, but what about “leaky skin”? The main function of the skin is to act as a physical, chemical and antimicrobial defense system. Studies have shown that both stress and gut inflammation can impair the integrity and protective function of the epidermal barrier. This in turn leads to a decrease in antimicrobial peptides produced in the skin, and an increase in the severity of infection and inflammation in the skin. The gut flora also influences the skin. Substance P is a neuropeptide produced in the gut, brain and skin that plays a major role in skin conditions. Altered gut microbiota promotes the release of substance P in both the gut and the skin, and probiotics can attenuate this response. The gut microbiota influences lipids and tissue fatty acid profiles, and may influence sebum production as well as the fatty acid composition of the sebum. This may explain why a Russian study found that 54% of acne patients have significant alterations to the gut flora, and a Chinese study involving patients with seborrheic dermatitis also noted disruptions in the normal gut flora. Another line of evidence suggesting a connection between the gut and skin is the observation that fermented foods improve skin conditions. Fermented foods have been shown to decrease lipopolysaccharide, improve intestinal barrier function and reduce inflammation. The first formal case report series on the value of using lactobacilli to treat skin conditions was published in 1961 by a physician named Robert Siver. He followed 300 patients who were given a commercially available probiotic and found that 80 percent of those with acne had some clinical improvement. In a more recent Italian study involving 40 patients, Lactobacillus acidophilus and Bifidobacterium bifidum in addition to standard care led to better clinical outcomes than standard care alone. And another recent study of 56 patients with acne showed that the consumption of a Lactobacillus fermented dairy beverage improved clinical aspects of acne over a 12-week period. The beneficial effect of probioitics on skin may explain why pasteurized, unfermented dairy is associated with acne, but fermented dairy is not. I haven’t seen any studies on raw dairy and skin conditions, but my guess is that it wouldn’t be associated either. Orally consumed fermented foods reduce systemic markers of inflammation and oxidative stress, both of which are elevated locally in those with acne. Fermented Foods can also regulate the release of pro-inflammatory cytokines within the skin. The fermentation of dairy reduces levels of insulin-like growth factor 1 (IGF-1) by more than four-fold. This is significant because studies show that acne is driven by IGF-1, and IGF-1 can be absorbed across colonic tissue. This would be particularly problematic when increased intestinal permeability is present, which as I mentioned above is often the case in people with acne. Diabetic ketoacidosis is a life-threatening condition caused by dangerously high blood sugar levels. 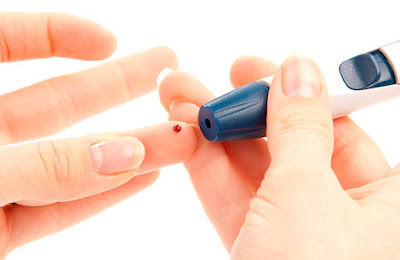 Your blood sugar levels become high because your body does not have enough insulin. Insulin helps move sugar out of the blood so it can be used for energy. The lack of insulin forces your body to use fat instead of sugar for energy. As fats are broken down, they leave chemicals called ketones that build up in your blood. Ketones are dangerous at high levels. What increases my risk for diabetic ketoacidosis? Diabetic ketacidosis can be life-threatening. You must get immediate medical attention. The goal of treatment is to replace lost body fluids, and to bring your blood sugar level back to normal. How can I help prevent diabetic ketoacidosis? Check your ketones as directed. Follow your healthcare provider's instructions about when you should check your blood or urine for ketones. Your healthcare provider may give you a machine to check your blood ketones. Urine ketones can be checked with sticks you dip in your urine. Do not exercise if you have ketones in your urine or blood. Know how to treat ketacidosis. If you have signs of ketacidosis, drink more liquids that do not contain sugar, such as water. Take your insulin as directed by your healthcare provider and go to the nearest emergency room. Researchers aren’t exactly sure what causes diabetic neuropathy, although they have some clues. The biggest clue is that diabetic neuropathy is influenced by blood glucose levels and control. In 1993, a major study was published in The New England Journal of Medicine that showed that controlling blood glucose levels can help prevent diabetes complications, such as neuropathy. That study very conclusively showed intensive insulin therapy to control blood glucose levels led to lower rates of diabetes complications; this was a long-term study done over the span of nearly seven years1.However, researchers don’t entirely understand how elevated blood glucose levels affect the nerves; they just know that there seems to be a connection between poor glucose control and the development of diabetic neuropathy. Age: Diabetic neuropathy takes time to develop, so it’s much more common in older people who have had diabetes for 25 years or more. Lifestyle choices: It seems that alcohol and smoking make the symptoms of neuropathy worse. Nerve injury: Whether your nerves have been damaged through inflammation or through a mechanical injury (such as nerve compression associated with carpal tunnel syndrome), it’s possible the previously-damaged nerves are more susceptible to developing diabetic neuropathy. 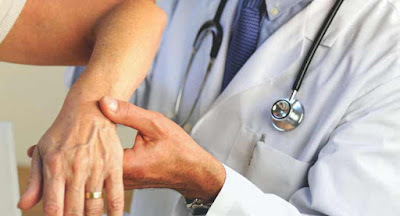 However the nerves get damaged, the end result is the same: they aren’t able to convey messages as well as they should to the brain, and they lose their ability to help you feel and move.To diagnose diabetic neuropathy (also called diabetic nerve pain), your doctor will run through several exams and tests. These will all be used to help the doctor understand what nerves have been damaged and how extensive that damage is. Your doctor will review your symptoms with you; this is the first step in trying to figure what kind of nerve damage you may have.The different types of diabetic neuropathy affect different nerves, so you should be very specific when describing your pain or other symptoms. During a physical exam, the doctor looks at your general physical condition. He or she will examine how well you can move. The doctor will also be looking for tender, sore, or painful areas. The physical exam allows the doctor to assess how your body is doing right now, so he or she will also check blood pressure, heart rate, and other basic health details. Since diabetic neuropathy involves the nerves, the neurological exam is a crucial part of the diagnosis. This is where he/she may test your “sensations”—how well you’re able to feel certain stimuli—which is especially important in diagnosing peripheral diabetic neuropathy.Different nerves are in charge of transmitting different sensory messages, such as temperature, touch, and vibration. Damaged nerves can’t transmit messages as well as they should, so these tests can be very helpful in narrowing down which nerves are affected. Temperature: The doctor will hold a very hot or very cold object near your skin to test how well you can feel temperature. Touch: He or she may actually prick you with a pin to see how well your touch nerve fibers are working. These are the fibers that not only tell you when you’ve come into contact with something, but they also tell you when you’ve been hurt (e.g., developed a sore or blister, or stepped on a shard of glass). There is another way to test the touch nerves. The doctor may use a bendable nylon filament to test how much pressure you can feel. There are different-sized filaments that require different amounts of pressure to bend. By pushing a filament against the skin—on the foot, say—the doctor can measure how much force you can feel. If you can feel a thin filament, then you can feel anything that touches your skin. If you can’t feel when a thicker filament is pushed against your skin, you probably have some degree of nerve damage. Vibration: Using a tuning fork, the doctor will test how well you can feel vibrations. The vibration nerves are important for balance. The doctor may need to do some simple diagnostic tests to check how well the nerves are conveying messages. Nerve conduction velocity (NCV) is how fast nerve impulses travel, and it’s possible to measure that. Sometimes, noticing a slower NCV is the first sign of diabetic neuropathy because if nerves are damaged, they don’t convey messages as quickly. Many conditions other than diabetes can cause neuropathy. Because other causes may need to be treated differently than diabetic neuropathy, it is important to do nerve testing in order to know for sure what type(s) of nerve pain you have. An NCV test is done using electrodes that are patched onto the skin. These are placed along a nerve pathway—one at the top of the leg and one further down, for example. A tiny electrical current stimulates the nerve at one electrode, and then the second electrode captures the signal as it passes down the nerve. The test measures how long it took the signal to travel down the nerve. An electromyography (EMG) test is often done in conjunction with an NCV test. It shows how well muscles are receiving signals from the nerves. Damaged nerves won’t send clear or consistent messages. The EMG test uses very thin needles placed into the muscle(s) the doctor wants to test. Those needles are electrodes that measure activity. You’ll have to contract your muscles, and then that activity will be measured. If the muscle isn’t receiving good signals from the nerves, then that should show up on the EMG. Your doctor may run other tests not listed here—based on your specific symptoms and the type of diabetic nerve pain he or she thinks you have. All tests will help the doctor pinpoint what kind of nerve damage you have, how it’s affecting your body, and how it can best be treated. For people with diabetic peripheral neuropathy—nerve damage caused by diabetes—taking good care of their feet is very important. The nerves most often affected by peripheral neuropathy are the ones leading to the feet, and this type of nerve damage can cause people to lose feeling in their feet. This lack of sensation can cause extreme problems. For example, someone with diabetic peripheral neuropathy might develop a blister on the bottom of their foot. People without nerve damage would be able to feel that and take care of it properly. However, if someone has lost sensation in the feet, they wouldn’t be able to feel the blister. It may eventually rub off and then become infected. Left untreated, that infection may spread to the bones, and then it may become necessary to amputate the foot in order to keep the infection from spreading. It’s possible to avoid that scenario entirely—just by taking good care of your feet. For starters, make sure your doctor gives you a thorough foot examination at every appointment. In between appointments, you should check your own feet every day. Clean your feet every day. As you’re drying the feet (with a soft towel), check for redness, swelling, blisters, etc. Be sure to look between your toes. If you notice anything, report it to your doctor. If you have trouble bending over to see your feet, try using a mirror. Moisturize your feet with a good lotion. Be careful to not get any of the lotion in between your toes because it could actually cause an infection. Keep your toenails at a good length; this should help you avoid ingrown toenails. Wear shoes that fit well. It’s especially important that your toes are able to move and wiggle around, so look for shoes with a good-sized toe box. To avoid injuring your feet, always wear shoes or slippers. You don’t want to step on something—a small pebble, for instance—and injure your foot. You may not feel or notice that small injury, and it could grow into a bigger problem. Before you put on your shoes, make sure there isn’t anything in your shoe that could irritate your foot—a small pebble, for instance. In taking good care of your feet, you’re being proactive in preventing severe complications from diabetic peripheral neuropathy. We produce natural health supplements and non-invasive testing kits that are available for shipping anywhere in the world. Visit our website at www.osumex.com, www.osumex.us and www.osumex.co.uk or contact us by email at info@osumex.com.